Private colleges and universities are growing in popularity around the world. One-third of all higher education students worldwide take classes at such schools. That finding is from a study published earlier this year in the journal Higher Education. Experts say the number of students attending private colleges and universities has been increasing for many years. 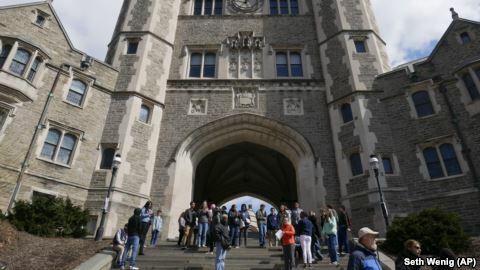 But the study, from the University of Albany, is said to be the most complete collection of information on private higher education yet. The university’s researchers studied information from the Institute of Statistics at the United Nations Educational, Scientific and Cultural Organization. They also used education records from national organizations in different countries and cross-border agencies. The researchers found that in the 192 countries named in the study, private colleges and universities enrolled 56.7 million students. That total represents about 33 percent of the world’s higher education student population. Daniel Levy says the findings provide evidence of interesting changes to the nature of higher education worldwide. Levy is the director of the Program for Research on Private Higher Education at the University of Albany. He also wrote the study. Levy says that for hundreds of years, the United States was different from many other countries in terms of higher education. In Europe, for example, most of the colleges and universities have long been operated by the state. But many of America’s earliest colleges and universities were private and often operated by religious groups. These schools have become some of the most widely known and respected schools around the world. Yet in recent years, private colleges and universities have become less popular in the United States than they once were, Levy notes. Private school enrollment was, at one time, higher in the U.S. than in any other country. Now, only 27.5 percent of American students attend a private institution, well below the international average. Levy adds that as other countries have developed and grown economically, so too has private higher education. In Latin America, for example, about 49 percent of higher education students attend a private college or university. In Asia, about 42 percent of higher education students attend such schools. 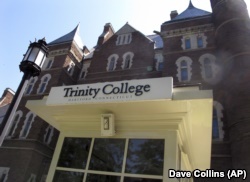 A building sits on the campus of Trinity College campus, a private college in Hartford, Connecticut. Levy adds that private higher education has had a successful history in some places because of a lack of competition. The growth of private higher education systems has resulted from several other factors, argues Harold Hartley. He is the senior vice president of the Council of Independent Colleges. His organization represents hundreds of private colleges and universities in the U.S. as well as several schools in other countries. Hartley suggests that many Americans have begun to question the value of a liberal arts education. Yet liberal arts programs are, in part, what has made American higher education so popular around the world. And many newer, private institutions offer such programs as a way to train students in one area of specialization while also educating them in other subjects. 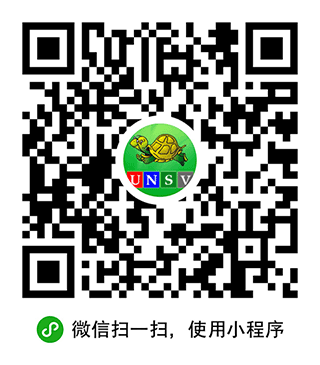 Such schools often appeal to international students. Hartley adds that as more and more people are attending college, public higher education systems in some countries are running out of space. But Philip Altbach says there is more to this issue than classrooms not having enough seats for all the students. 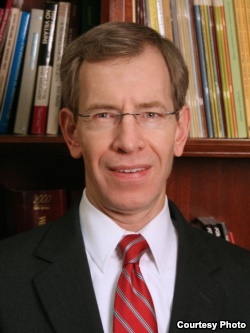 Altbach directs the Center for International Higher Education at Boston College, a private Catholic research university in Boston, Massachusetts. Altbach suggests there is now movement from public to private control of industries and different parts of modern life. People have grown dissatisfied with large governments and paying taxes in general, he says. But most public colleges and universities depend on government support. And with less tax money to spend, many governments have reduced that support in recent years. Both Altbach and Levy have concerns about the growth of private higher education worldwide. They say that most private higher education is more costly than public systems. Also, historically and now, private higher education outside the U.S., in general, has been of lesser quality than the public systems, Altbach adds. That is because private schools in many countries do not have to follow the same rules that ensure a good education. 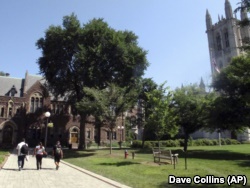 People walk on campus at Trinity College, a private college in Hartford, Connecticut. However, U.S. officials have also faced problems in governing the private sector, says Altbach. He notes the rise of several private colleges and universities that only seemed interested in making a profit. For example, Corinthian Colleges was a for-profit company that operated schools all over the country. In 2015, the government found the company guilty of lying to students about things such as how likely they would be to find a job after finishing their studies. So, Altbach suggests that in order for the private sector to improve itself, private schools must be willing to find ways to punish the bad ones. There may not be one perfect way of doing so. But as the nature of higher education changes, so too must the laws surrounding it. In addition, Altbach admits that not every college and university can be the best in the world. But they do not need to be, he says. Private institutions need to work with each other and with government officials. In doing so, they can be open about their actions and create systems for governing the private education industry. 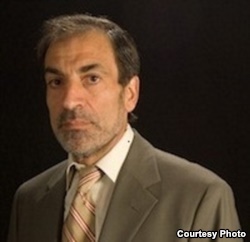 Pete Musto reported this story for VOA Learning English. George Grow was the editor. We want to hear from you. How do you think countries should govern private higher education? Write to us in the Comments Section or on our Facebook page.